Why do you need to visit Italy’s Coral Reef? Researchers have claimed that they have discovered the first coral reef in Italy. This underwater ecosystem is present on the Adriatic coast and stretches up to two and a half kilometer. 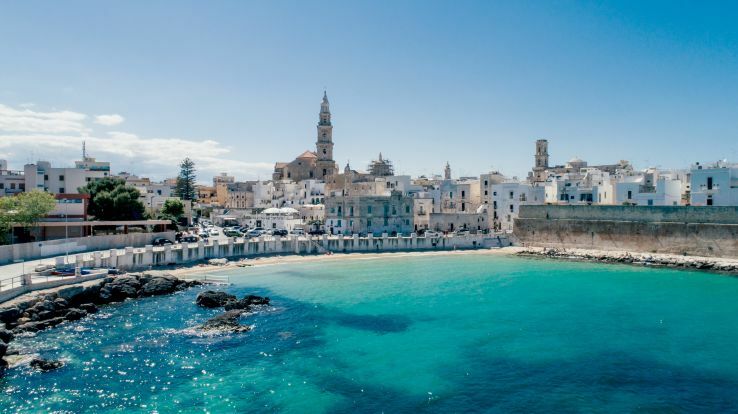 It is located in Monopoli near Puglia. This coral reef is also referred to as the mesophotic coral reef. The mesophotic coral reef is those reefs that receive low light level like those found in the Mediterranean region. They are found approximately 40 to 45 meters underwater and can even extend up to 200 meters. Researchers have published this in their writings about nature. The color reef of Italy has subtle colors than those of the Pacific region which are known for their variations in color. According to Giuseppe Corriero who is the Professor in Bari Aldo Moro University and director of Biology department said that the coral reefs of Maldives and Australia rise high and almost reaches the water surface and can use the sunlight as a fuel for the complete ecosystem. What is the first coral reef in Italy famous for? The coral reef in present in Puglia is a place in the southern part of Italy and seems to be just like the heels of a boot. It is a famous destination for years, and people visit this place to enjoy its olive groves, masserie, coastline, and simple farm estates which have been designed to form hotels. But now that researchers have found this reef this place is going to be flooded with visitors and people will go for diving in this region. Even the locals are aware of this discovery, and these reefs make the place in Italy even more famous. This reef in Italy is found in between 100 to 180 feet below the sea level, and it has low levels of light thus termed as mesophotic. The mesophotic reefs in many regions extend up to miles, but in this case, it is up to approximately 90 kilometers or a bit more. These types of coral reefs are found in very rare places as they manage to stay alive and grow in tough conditions even when there is lack of light. The discoverer was a professor in biology and researched about marine life in the Maldives. The Maldives have a wide coral reef, and hence Corriero carried out his research in this region. After this discovery official have promised to build a protected area for the marine life where there are some rare red, orange, and purple corals, discussions are going on about this and the necessary actions will in taken by them in a short period. The reef has a soft coloring them many other marine reefs across the world. The mesophotic reef recently discovered in Italy is very rare in its kind and its growth and survival pattern to challenging. The reef is not huge but is around 115 to 164 feet 35 to 50 meters at the point where the sunlight starts fading. The reef was discovered by Giuseppe Corriero who is the researches of marine biology. The reef was discovered at a very short distance from his residence after thirty of his career in marine biology. 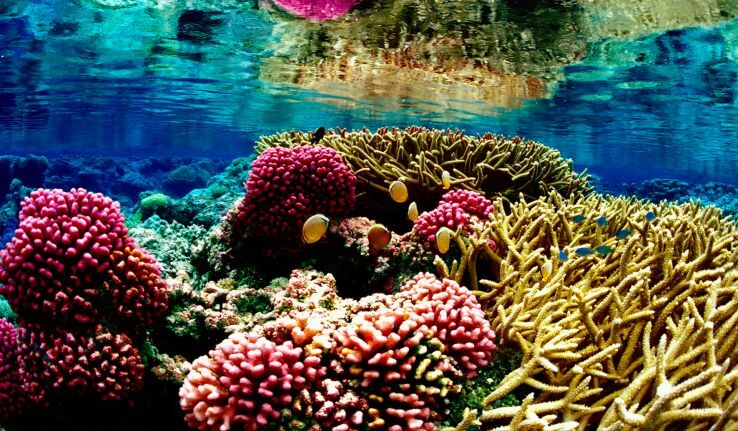 The coral reef was a home for many marine species; however, most part of the reef has died as per the revealing made by the studies after its discovery. There is still research going on to discover more such reefs in the marine ecosystem nearby as the researchers believe that the coral reefs exist somewhere and are yet to be discovered. The discovered mesophotic reef is mainly build up using the scleractinians that are non-symbiotic in nature. These are mainly in the form of stone corals that feeds itself on the floating organic matter present in the marine ecosystem. The existence of any form of colorful algae that is symbiotic in nature has not been determined till date on the coral reef which can feed on sunlight and convert the energy to pass it on to the corals. The framework of the newly discovered reef in Italy mainly comprises of two different scleractinians namely Polycyathus muellerae and Phyllangia Americana mouchezii that are related to creating the structure of these forms of coral reefs. The thickness of the reef is uneven in certain areas as per the declaration of the scientists. They specified that the coral reef extended up to 6.5 feet 2 meters at specific regions and this acted to be a prime consideration towards fascination for the researches and the biologists. Further diving is being planned by the team that was behind the discovery of the coral reef in order to check the distance up to which the coral reef stretches and extends under the sea. They think that there are more to be discovered underneath.